An English Homestead: Bigger Compost Area! I think I have serious compost bin envy. That cannot be healthy in a grown woman. 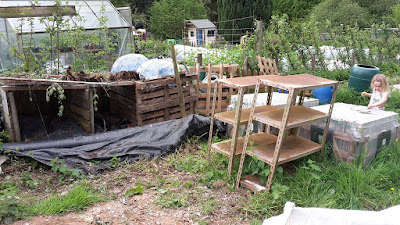 I see that what I really need on my Allotment is a tractor rather than the wheelbarrow I currently use to shift compost !! Yup. 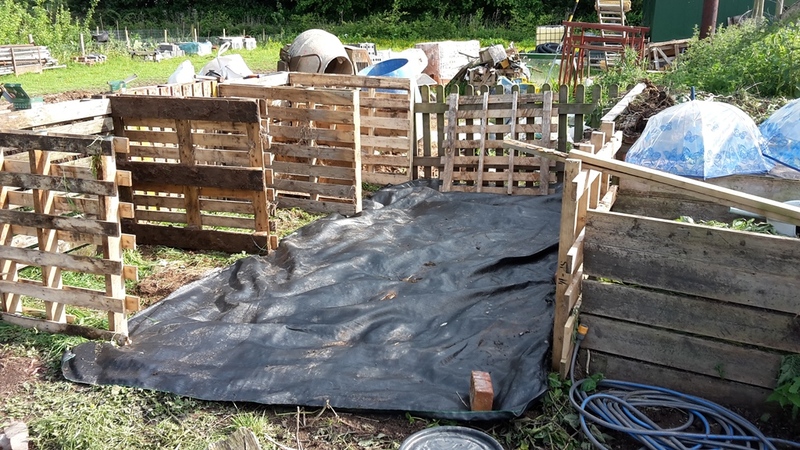 Pallets are wonderful things and exactly the right size for compost bins. 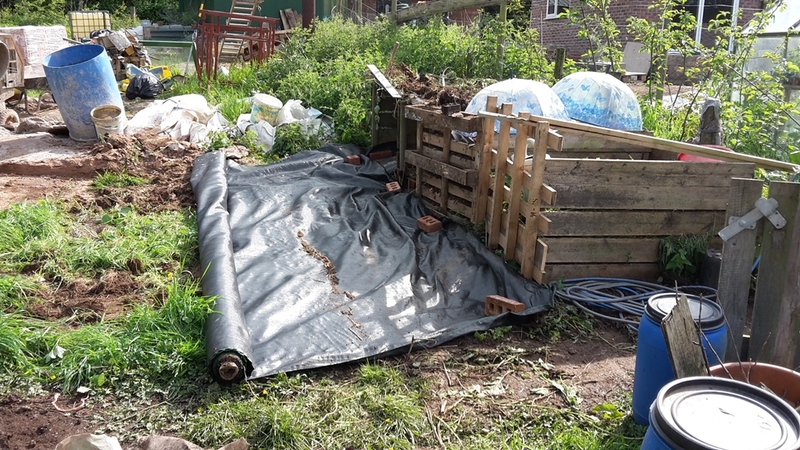 Your compost area is looking really business-like and will serve you really well over the years. I'm doing a comfrey and nettle tea. 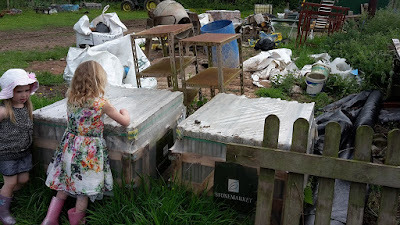 I've also done a banana skin once which is high in potassium and an egg shell wash. Crushed dried egg shells put in a food processor with water. This is excellent for tomatoes apparently. 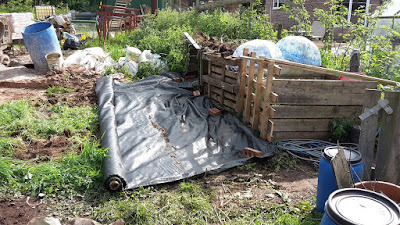 I really must sort out my compost bins; they're falling apart! 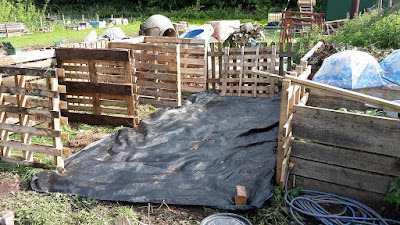 We have three compost bins similar to yours made out of pallets and old fencing. 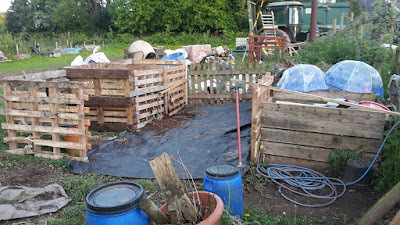 Two 'dalek' style plastic ones at the backof Chicken World for bits and bobs when I'm weeding near the house, and LH's large manure bed at the edge of the paddock. 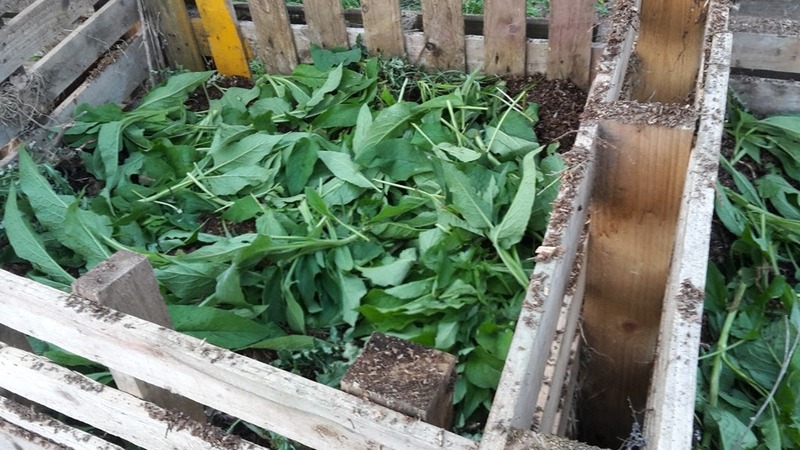 I'm also trialling having a mini slatted wooden compost bin in the centre of one of my raised beds and it seems to be working well, the run off is really feeding the soil all around it and the bed is full of worms.